Greek islands are a longing for many Central Europeans: a relaxed, to the essentials reduced life, far away from the constant rush of our efficiency and growth-oriented society. But they are also complex systems that have to work - for both locals and guests. Using the small island of Alonissos in the Aegean, we explore to what extent our ideas of sustainable urban development are applicable in the at the same time secluded and cosmopolitan island world and what we can learn from the local society and way of life. 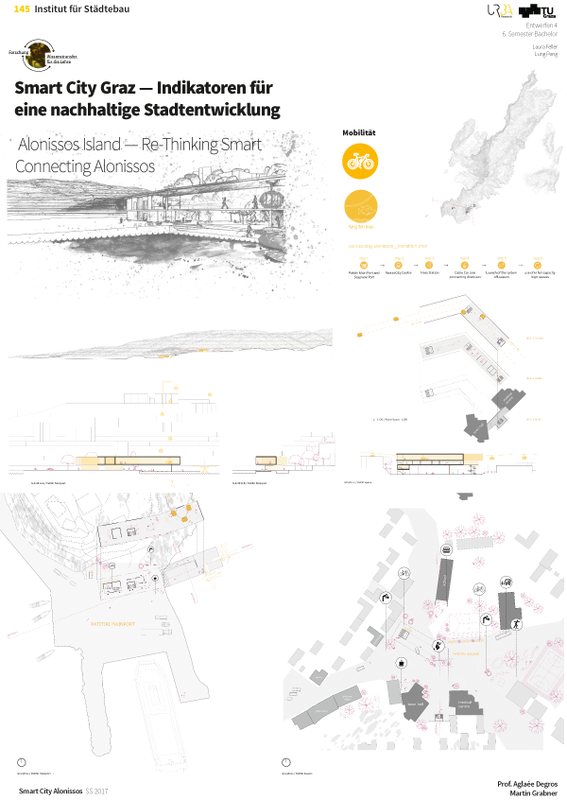 Based on an analysis of the entire island, we develop urbanistic and architectural interventions that support daily life on the island, making it socially, ecologically, economically and, above all, more spatially sustainable, paying particular attention to the local context and the genius loci of Alonissos. The site-specific and context-sensitive work allows us to rethink our own understanding of sustainable or "smart". Part of the course takes place as a joint workshop with students and faculty of the University of Thessaly, Volos on the island of Alonissos.